PLEASE ALLOW 24-48 HOURS FOR EMAIL DELIVERY! THIS BOOK IS NOT DOWNLOADABLE SO WE CAN CONTINUALLY UPDATE IT. This manual includes: the most advanced foot and ankle training methods in sports, the most sports specific plyometric training methods in sports and examples of the most specific weight room speed workout methods for peak athletes. In the world of sports, speed is king. Whether the goal is to break a collegiate record, compete at the international level or even move up just a few draft spots, athletes spend thousands of dollars every year training to become faster. Every hundredth of a second an athlete can shave off their times can potentially lead to thousands or even millions of dollars. This equation leads to athletes and coaches constantly searching for the best track workout or weight room exercise that can trigger an adaptive response that will lead to producing quicker times. However, too often they are overlooking the very structure that is solely responsible for transferring force and power into the field or track. This manual exposes you to the biggest changes in Structure and function of the foot, The Spring Ankle model exercises produce the most dramatic changes in running mechanics seen in athletes in many speed sports. Chris Korfist has been a track coach for 22 years. After a productive stint as a graduate assistant at Northern Illinois University, he transitioned to coaching high school at an elite level. During this time Chris has coached high school football and track at Hinsdale Central, Downers Grove North and York High Schools. While coaching at these schools Chris has helped to produce an impressive number of elite performers. This group includes; 59 all-state track athletes, three individual state champions, two team state champions, three 2nd place team finishes, and two 3rd place finishes. His sprint relays at York High School have produced remarkable times, ranking as some of the fastest times in the history of the state of Illinois. He also currently owns and operates the Slow Guy Speed School, a training facility that focuses on running and athletic development. The alumni list at Slow Guy Speed School is very impressive all on its own as an additional 46 all-state athletes and six All Americans have trained there under Chris. Chris speaks frequently throughout the Midwest at various track clinics and is a founder of RPR Reflexive Performance Reset. He has also had opportunity to occasionally work with some Olympic sprinters and other professional athletes. Cal Dietz has been the Head Olympic Strength and Conditioning coach for numerous sports at the University of Minnesota since 2000. Since Dietz’s return to Minnesota he has developed the Strength and Conditioning Programs and overseeing the daily progress in Men’s Hockey from 2000-present, Men’s’ Basketball from 2004-2010, Women’s Hockey from 2003-present, Men’s Golf from 2000-present, Women’s Golf from 2006-present Men’s Swimming from 2000-Present, Track and Field from 2000-present, Baseball from 2000-2007, 2010 -present, and Wrestling from 2000 to 2004. During his tenure, Dietz has trained: a Hobey Baker Award winner, two Big Ten Athletes of the Year, athletes that have achieved 500 All-American honors, 35 Big Ten/WCHA championships teams and 11 NCAA Team Champions, and 13 teams finish in the top four in the nation. He has consulted with Olympic and World Champions in various sports and professional Teams and athletes in the NHL, NFL, NBA, MLB, and Professional Boxing. DeRick has served in many leadership roles as a Regional Director of Sports Performance, Head Strength Coach and Senior Strength Coach in both private and corporate settings. He has worked with athletes on over 35 professional teams and 60 Division 1 teams. He was a member of the Medical Advisory Board in a joint venture between Hackensack University Medical Center and the New York Giants. DeRick has made multiple stops with the Strength and Conditioning Department at the University of Minnesota where he currently is. He is also the Performance Manager for Team Gomez, professional fight team, and Director of Sports Performance at Breck School as well as serving as an Editor and Contributor to other works. Triphasic Training is the pinnacle of sports performance training. That’s not hype. Cal Dietz, strength coach at the University of Minnesota, has the results to back up this claim – a Hobey Baker Award winner, two Big Ten Athletes of the Year, over 400 All-Americans, 28 Big Ten/WCHA championship teams, 7 NCAA National Team Champions, and 13 teams that finished in the top four in the nation. 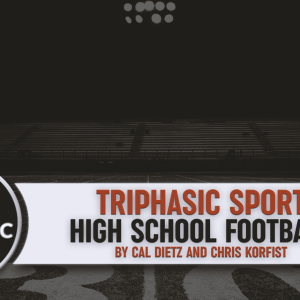 Over the past decade, Coach Dietz has worked with thousands of collegiate and professional athletes, incorporating the latest scientific research into developing his Triphasic Training method. His approach breaks down athletic movements into their three components — eccentric, isometric, and concentric — allowing for the continuous development of athletes, maximizing their strength, speed, and power. 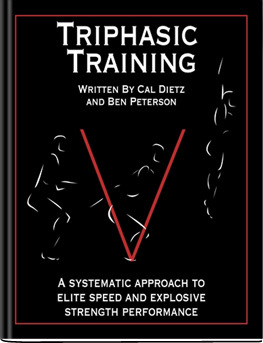 In this easy-to-understand book, Coach Dietz has teamed up with exercise physiologist, Ben Peterson, to explain the physiological foundations of Triphasic Training and how they can be applied to training, making athletes bigger, stronger and faster than ever before. 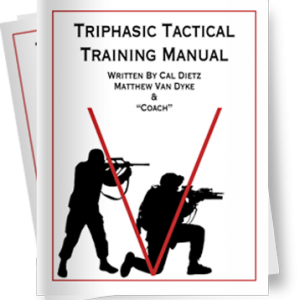 The authors give examples of complete programs, as well as examples of how to incorporate the Triphasic method into existing programs, with descriptions on adapting it to virtually any scenario. 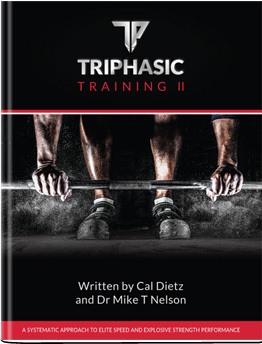 The digital edition of this book contains over 3,000 hyperlinks to video clips that demonstrate how to properly perform every exercise, as well as six hours of video lectures by Coach Dietz from his national speaking tour. In this book, these hyperlinks are indicated by words or phrases that are underlined. In order for you to take advantage of these features, included in the book is a web link to a downloadable PDF that contains the hyperlinks and videos from the original digital book. 5 complete 24-week training programs designed for 6-day, 5-day, 4-day, 3-day, or 2-day training models. Over two dozen tables showing when and how to modify exercises to ensure continuous improvement in athletes. Peaking programs for football lineman and skill players; swimmers; baseball, volleyball, and hockey players (among others). M.Ed. Head Olympic Strength Coach, University of Minnesota Cal Dietz has been the Head Olympic Strength and Conditioning coach at the University of Minnesota since 2000. He has developed the Strength and Conditioning Programs and overseen the daily progress in Men’s Hockey, Men’s’ Basketball, Women’s Hockey, Men’s and Women’s Golf, Men’s Swimming, Track and Field, Baseball, and Wrestling. During his tenure, Dietz has trained a Hobey Baker Award winner, two Big Ten Athletes of the Year, over 400 All-Americans, 28 Big Ten/WCHA championship teams, 7 NCAA National Team Champions, and 13 teams that finished in the top four in the nation. He has consulted with Olympic and World Champions in various sports and professional athletes in the NHL, NFL, NBA, MLB, and Professional Boxing. The Shelby, Ohio, native earned his bachelor’s degree in physical education from the University of Findlay in 1996 and his master’s degree from Minnesota in kinesiology in May, 2000. M.Ed., CSCS Ph.D. Candidate, University of Minnesota Ben is a graduate of Northwestern University where he played football for the Wildcats. During his tenure he developed a passion for discovering what makes the human body tick — creating and implementing new methods to train, develop and improve sport performance. Ben started his career working for the Minnesota Twins as an assistant strength and conditioning coach in 2008. Over the past four years, Ben’s passion and creativity have allowed him to work with hundreds of professional athletes in the NFL, NHL, and MLB; helping them maximize the limits of their athletic potential. Most recently, Ben has been a consultant for Octagon Hockey, spending the NHL off-season working with their athletes in the Minneapolis area. Ben is currently pursuing his Doctorate in Kinesiology and Exercise Physiology at the University of Minnesota. At the university he helps run the Sport Performance Lab while assisting to teach two courses within the kinesiology department; Strength/Power Development and Health and Wellness. His research looks at repeated sprint ability in anaerobic athletes, specifically as it pertains to energy system efficiency and fatigue. His research also looks heavily at power and rate of force development in athletes and its dynamic correspondence and transferability to sport. 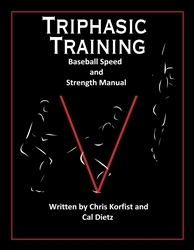 The Triphasic training for Baseball manual is the most advanced and complete method of training for Baseball on the market today. This manual has combined two elite Speed and Strength programs to develop a complete program with proven results at all levels of sports It incorporates the most up to date techniques in power development. More importantly, it is designed specifically for the high school athlete for maximum development. Too many programs are taken from pro coaches who already have great athletes. Most high school programs do not have that benefit. 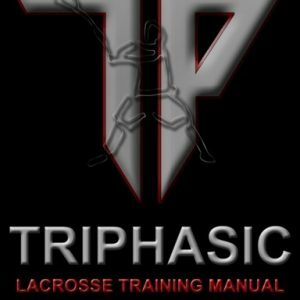 High School coaches have athletes that need the fundamentals of movement, speed and power and that is what Triphasic training offers to build athletes. In the trial phase of the program, with two high school teams and the non-multi sport athletes, the 40’s improved by an average of .32 electronic time. The vertical jump improved by 6 inches average and our bench press average improvement was 30 plus lbs. the best result increase in VJ was 9 inches, the 40 yard was .67, the bench press was 70 pounds. The program completely laid out and has video’s and coaching points supporting the exercise and drills. These programs have developed elite level athletes and have been modified and testing in the high school setting to given prove results. Many coaches have used these methods/principles from Olympic to Professional sports with great success. The Triphasic training for Football manual is the most advanced and complete method of training for football on the market today. This manual has combined two elite Speed and Strength programs to develop a complete program with proven results at all levels of sports It incorporates the most up to date techniques in power development. More importantly, it is designed specifically for the high school athlete for maximum development. Cal Dietz has been an Olympic Sport Strength and Conditioning coach for numerous sports at the University of Minnesota since 2000. During his tenure, Dietz has trained athletes that have achieved 400+ All-American honors, Teams that have won 33 Big Ten/WCHA championships teams and 10 NCAA Team Champions. He has consulted with Olympic and World Champions in various sports and professional athletes in the NHL, NFL, NBA, MLB, MMA and Professional Boxing. Dr. Mike T. Nelson CSCS has spent 18 years of his life learning how the human body works, specifically focusing on how to properly condition it to burn fat and become stronger, more flexible, and healthier. He has a PhD in Exercise Physiology from the University of Minnesota, a MS in Mechanical Engineering (biomechanics) from Michigan Tech and a BA in Natural Science from the College of St. Scholastica. He’s an instructor for Globe University, has published research in both physiology and engineering journals, and academic text books in addition to many fitness magazines from Men’s Health and more. He’s even been called in to share his techniques with top military agencies. In his free time he enjoys spending time with his wife, lifting odd objects, and kiteboarding as much as possible. The purpose of this manual is to prepare the athlete for their sport by performing high-velocity, sport-specific movements. These exercises, and the way in which they are performed, are designed to utilize the enhanced qualities of dynamic movement. These methods are the result of years of attempting to create an all-encompassing, methodical approach to physical training intended to prepare an athlete for the rigors of sport. In this text, you will be provided with example programs, mesocycles, and macrocycles so that you may not only implement the system but understand the how and the why as well. This manual was created solely to share these methods and to inspire questions within the coaching community so that we may continue developing as professionals for the betterment of our athletes. A classic misconception is that a 1RM test performed at the end of the off-season is optimal for preparing an athlete for competition. By definition, and what we know about the Force-Velocity Curve, the 1RM requires the greatest demand for force to overcome the resistance but is the slowest movement the athlete will perform. This approach is phenomenal for someone who can afford to spend ample amounts of time developing the necessary force to complete a movement. In reality, an athlete may only have a fraction of a second! So, what’s really going on then? Truthfully, although the athlete is generating a tremendous amount of force, the rate at which it’s being developed isn’t going to transfer to their sport. Well, if it’s not going to transfer to their sport, then why is it still being used at the measuring tool to determine whether an athlete is ready for their season? Let me very clear about something, a 1RM number, whether tested or estimated, is necessary in a training plan to understand the level of strength the athlete possesses and to base their training percentages off of. Otherwise, you’re shooting in the dark and not only is that dangerous, it’s sub optimal. In this guide, you will find the tools you and your family need to achieve optimal fueling guide for your athlete for energy and mental focus. LARGE GROUP DISCOUNTS HAVE BEEN GIVEN TO YOUTH SPORT ORGANIZATIONS AND TEAMS. PLEASE CONTACT US IF INTERESTED at XLATHLETE@GMAIL.COM. When Cal and I first started to talk about putting a nutrition manual together, we had to figure out what’s most important to the audience. My first thought was to put together a comprehensive manual that would prove to be an encyclopedia on youth nutrition. Cal, who is actually a father of 2 very active kids, said this was not what parents would want or need. So, realizing how my initial idea was going to be utterly useless to my audience we decided to go with the most actionable items like, what to eat for breakfast and why, or how to eat pretty well when you’re traveling across the country to a big time lacrosse, hockey, baseball, etc. tournament. We simply focus on what you need to know, why the information is useful, and most of all how to apply this information day in and day out to help your kids stay healthy, perform on the field, and best of all be better students in the classroom. We set out to help you answer a variety of questions that you have about how best to help your young athlete perform at the highest level possible, whether in the classroom, during practice, or during a game. In each section you’ll find the essential knowledge needed to put the right foods on the table at the right time to help them achieve their fullest potential. Take the information found in this book and apply the information consistently and you will be amazed at the results. Coach Paul Sparks has served as a Sports Scientist and Strength Coach in a variety of settings including Division I Collegiate Athletics and most recently for the US Army Special Operations Command. Coach Sparks has worked in the fitness and Strength & Conditioning field for over 10 years and possesses a Master’s Degree from the University of Alabama. DeRick has served in many leadership roles as a Regional Director of Sports Performance, Head Strength Coach and Senior Strength Coach in both private and corporate settings. He has worked with athletes on over 35 professional teams and 60 Division 1 teams. He was a member of the Medical Advisory Board in a joint venture between Hackensack University Medical Center and the New York Giants. DeRick has made multiple stops with the Strength and Conditioning Department at the University of Minnesota where he currently is. He is also the Performance Manager for Team Gomez, professional fight team, and Director of Sports Performance at Breck School.